5.2 x 3.2 x 3.7 inches (L x W x H). 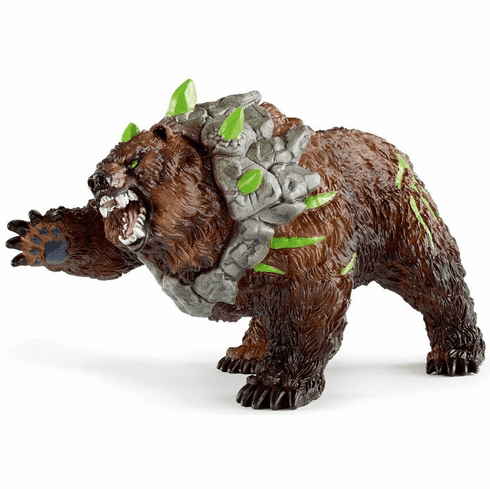 The cave bear is a feared fighter who can lie in wait for his opponents in every world � no matter whether snow, water, lava or earth. He not only has sharp claws and teeth, but also wears green crystals around his neck which give him his terrific strength. He has bright green war paint on his fur, matching the colour of the crystals.